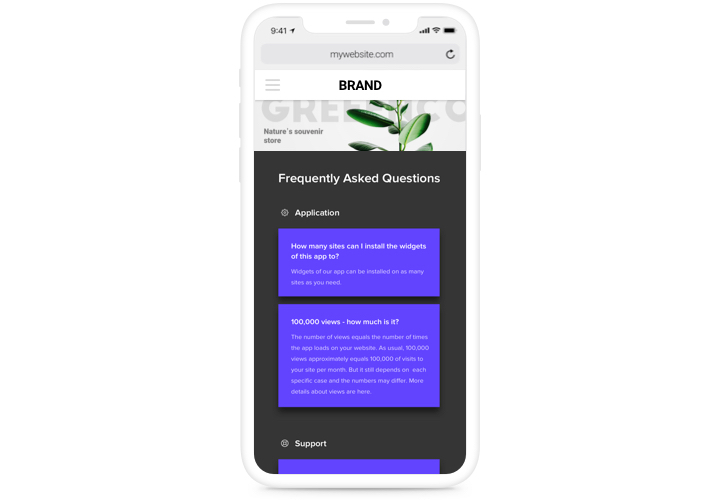 Our FAQ is a simple, easy to work with and customize tool to create and publish a unit of the most frequently requested questions with answers on your personal site. An interactive widget with clear design allows you to demonstrate extensive data about your business, direct readers’ attention to positive properties and combat misconception and disbelief, which could be an obstacle to purchase. Answer the appearing questions of your clients immediately and uplift sales on the website! Lead clients to purchase using smart texts. 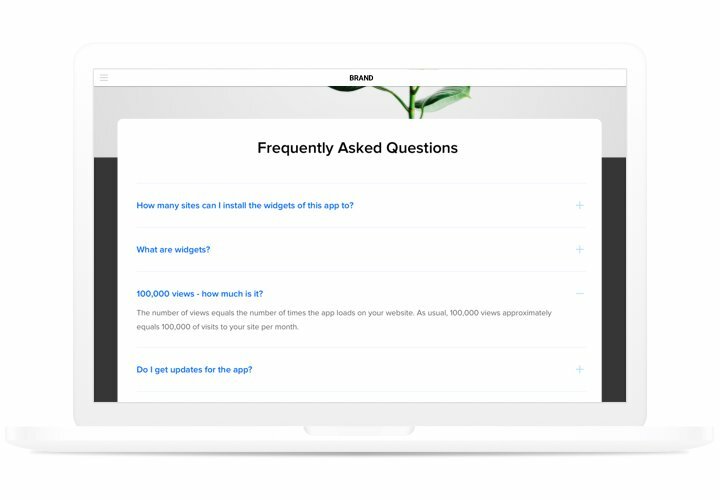 Demonstrate answers to the most important clients’ questions in advance and convince them to finish their order on your site. Deliver the image of your business to readers. Demonstrate to your visitors the real image of your brand and commercial processes, to remove all disbelief and stimulate cooperation. 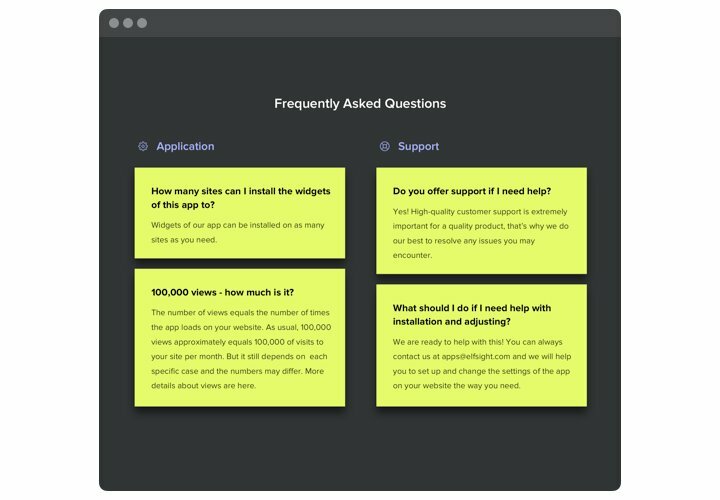 Solve all possible questions to your customers beforehand. 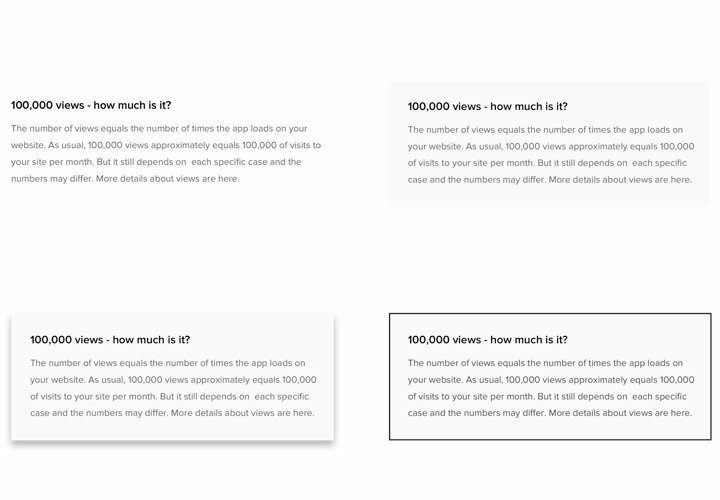 Let your users get the most detailed data about your products or services and answer questions before they appear. The most important advantages of Elfsight widget, which help it become the most flexible instrument to display FAQ on Webnode website. Generate a widget with the help our brief manual. You will not need to have skills in development, or to find a programmer. Total installation time is just 2 minutes. 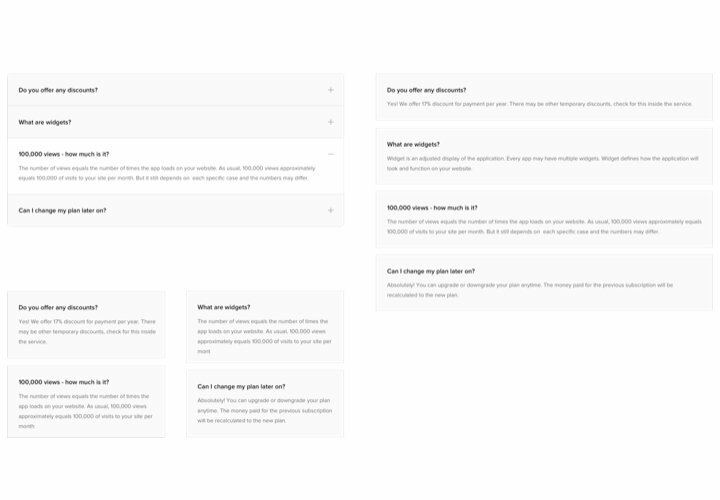 With our free demo, generate a plugin with layout and options that you need. Acquire a code for plugin installation. 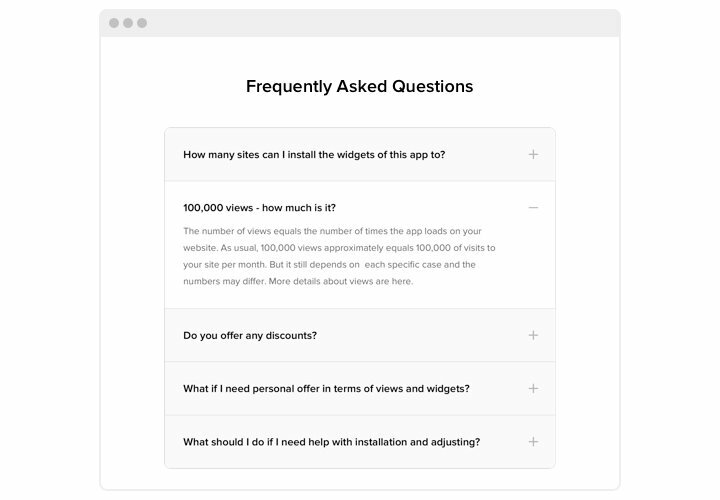 After widget generating, obtain a code for FAQ plugin from the appearing window on Elfsight Apps. Reveal the plugin on Webnode website. Add the plugin to the needed spot of the page and publish the edits. Have issues while installation? Send a message to Elfsight support service or study a comprehensive variant of the instruction «How to add FAQ to Webnode» and complete the setup yourself. Generate Webnode FAQ widget in only 80 seconds!